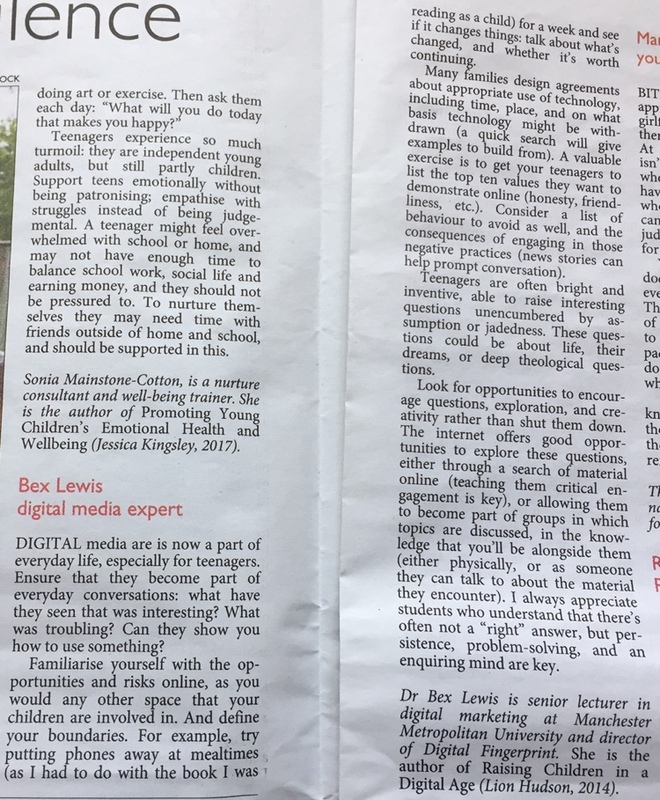 The other week I was asked to provide maximum 600 words re teenagers and mental health for The Church Times. Obviously my specialist area of knowledge is the digital, so I took that as my angle, and it appeared in this week’s edition. Thanks to my mum for the spot, and the social media crowd who sent me screenshots, etc.